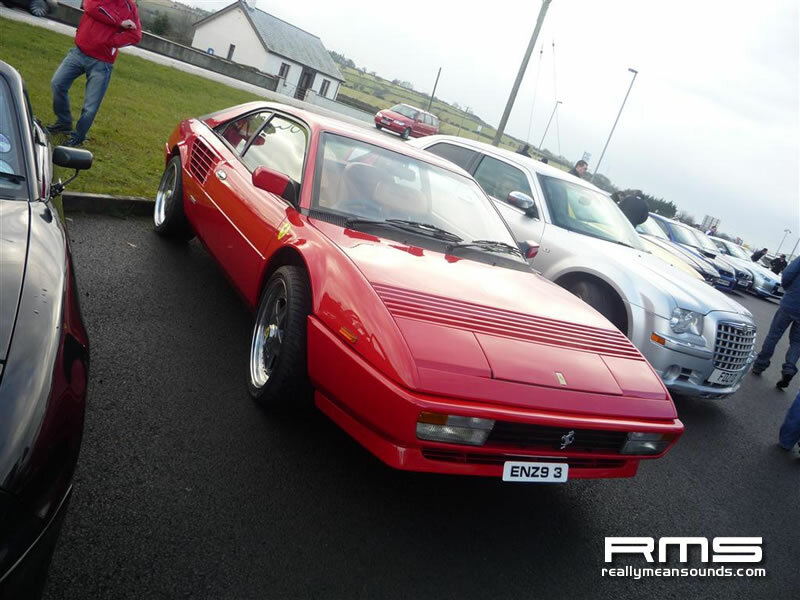 Despite cold, wet and wintry conditions, performance car enthusiasts were not about to let the weather dampen their passion for motoring and January 24th saw the first Pistonheads NI ‘Cars & Coffee’ meet. 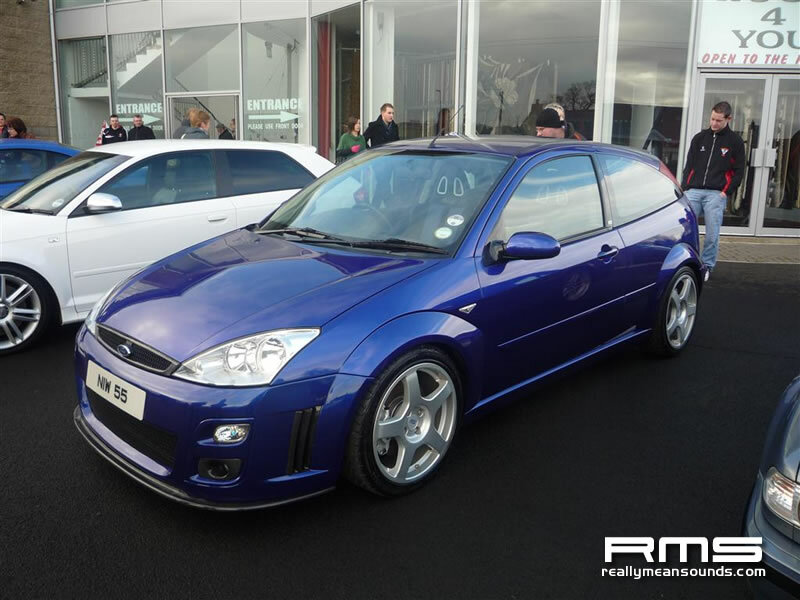 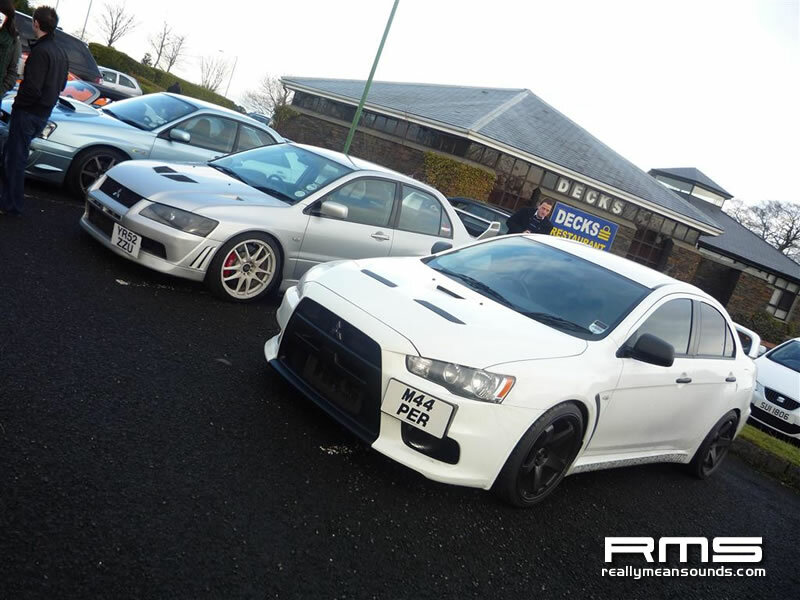 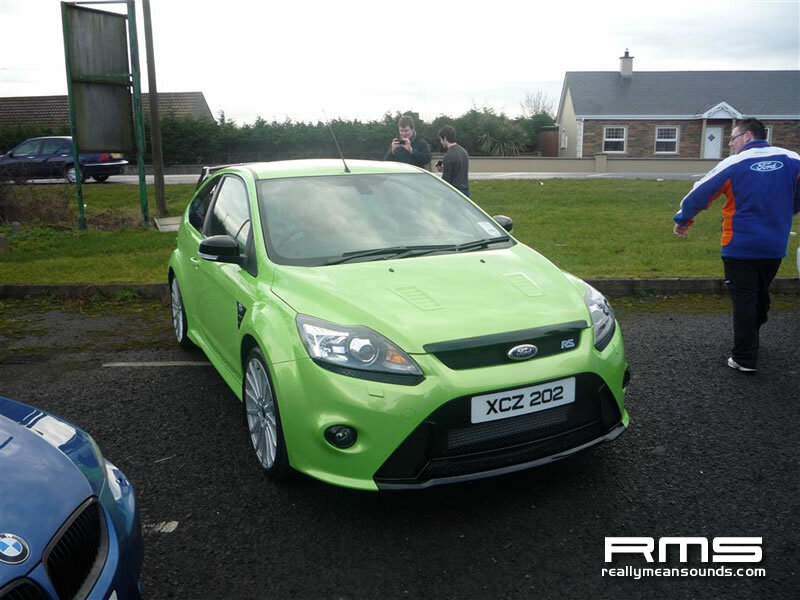 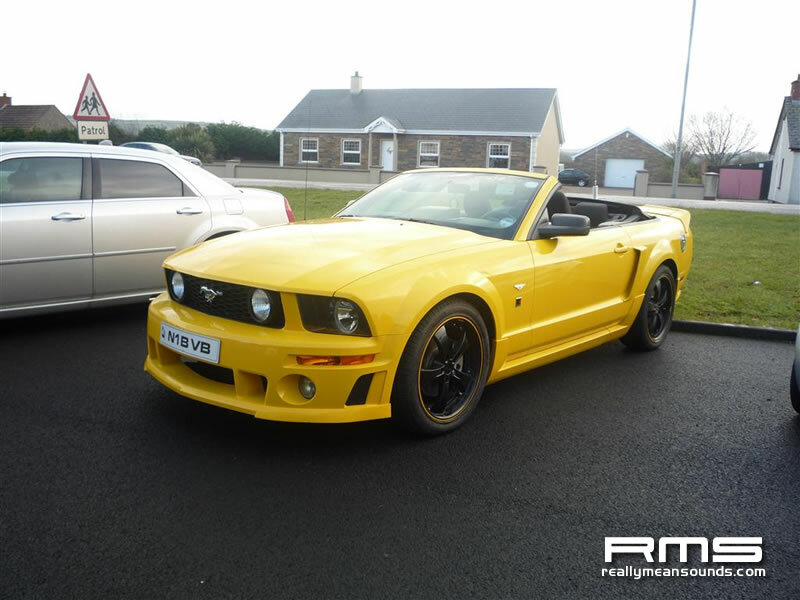 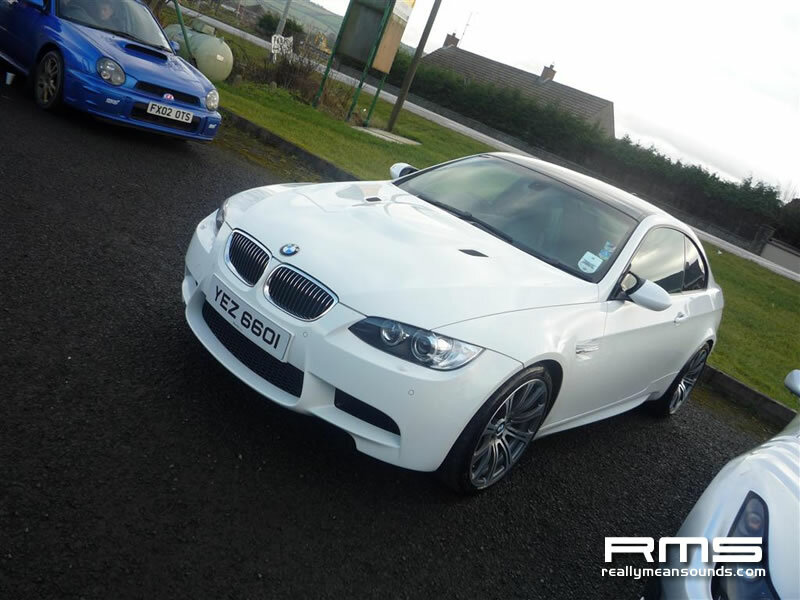 Held at the premises of Ergos Lifestyle in Campsie, Derry, the event was organised by Pistonheads and RMS members Sudesh and Will2020. 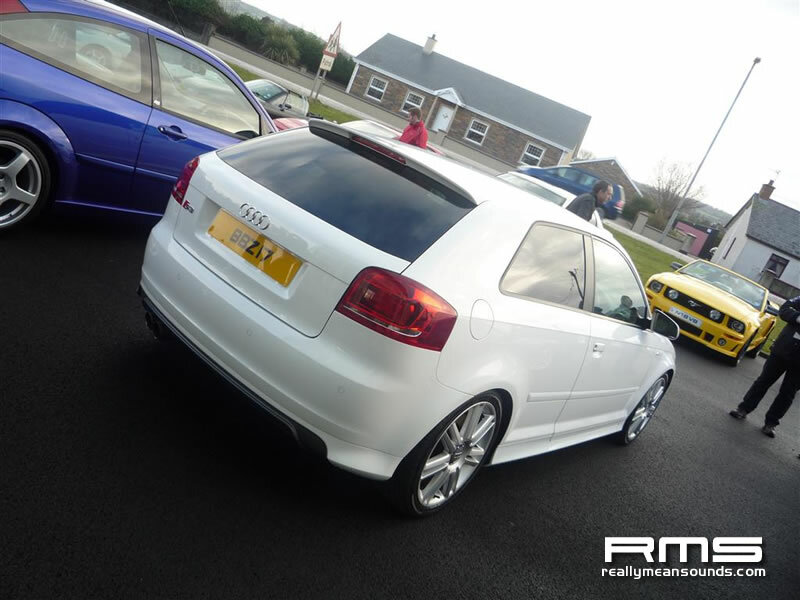 Unlike most meets, the generous use of the premises allowed for abundant parking space, the provision of a power washer to remove some of the winter filth from cars, and warm refreshments in the form of tea, coffee, soup and rolls. 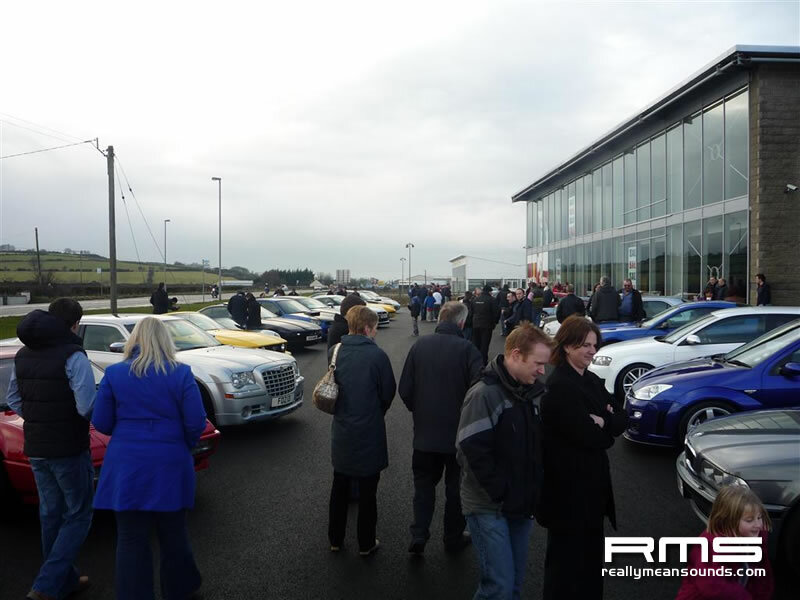 The day started off with heavy rainfall in most of NI, but luckily the skies had cleared by 1pm and the meet went ahead with dry – albeit, cold – conditions. 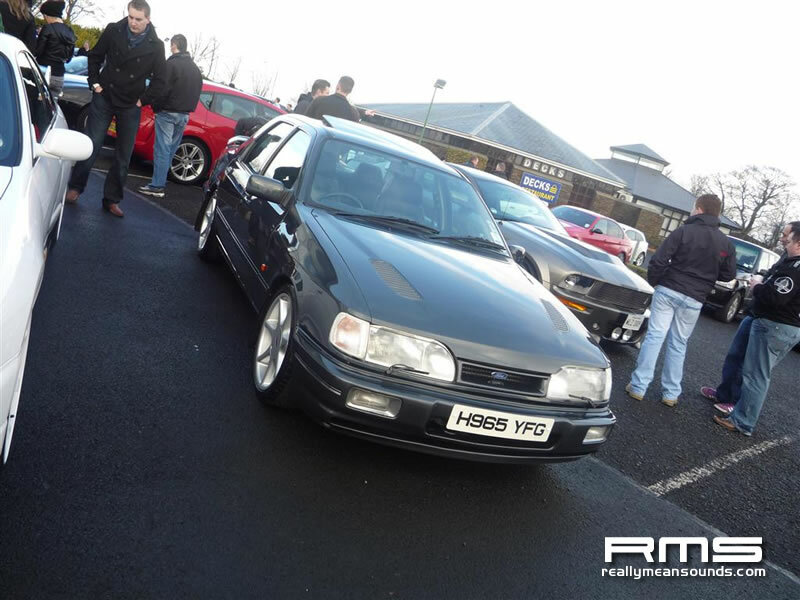 An excellent turnout of members from a number of forums (Pistonheads, RMS, Octane to name a few) ensured a good variety of performance and prestige cars. 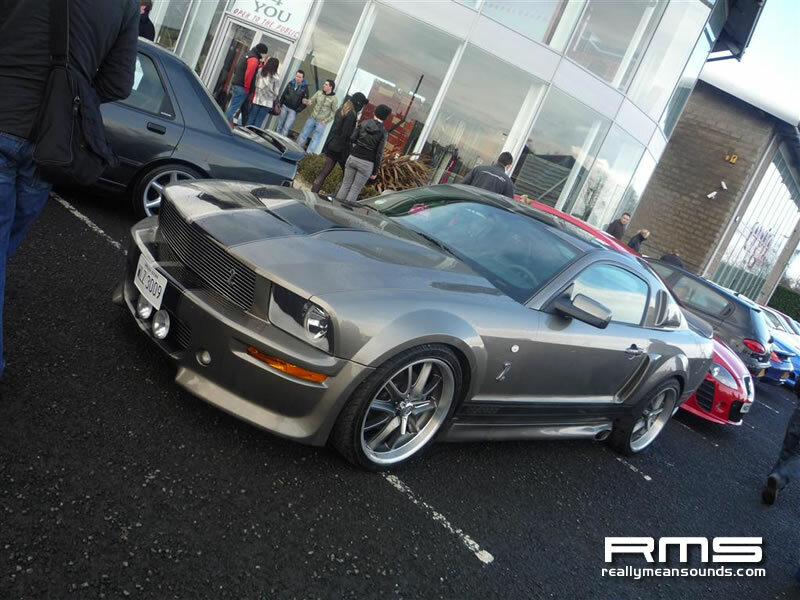 The American side of motoring was well represented; no less than a Dodge Viper, a Transam, a few Mustangs, including one very popular Shelby model which was rumoured to have had a lot of modifications under the hood. 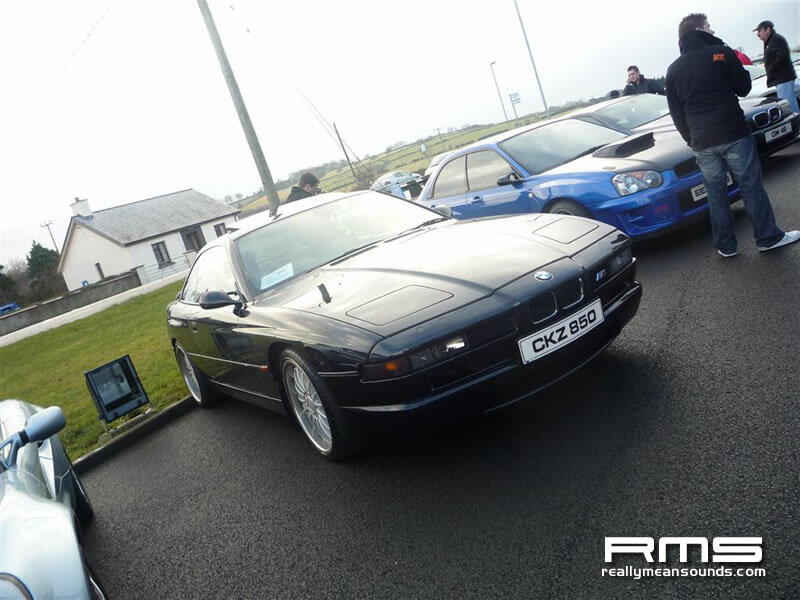 On the European front, there was a large variety of machinery in attendance. 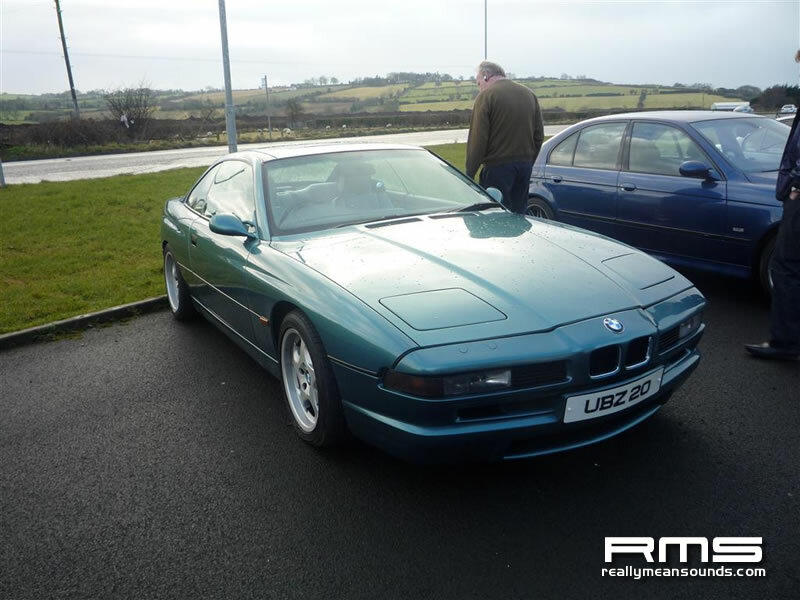 BMW fans were able to savour some of the more iconic performance BMWs of recent years, including a number of V8 E92 M3s, E39 V8 M5s, an 850 CSi and an E46 M3. 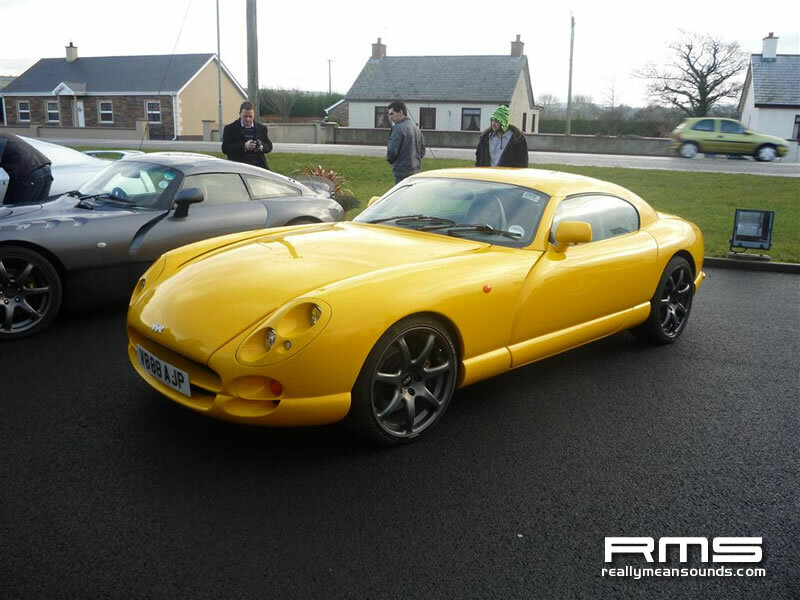 TVR owners brought along a stunning Cerbera and Sagaris, whilst Porsche and Ferrari exotica sat opposite, including a stunning concours red 911. 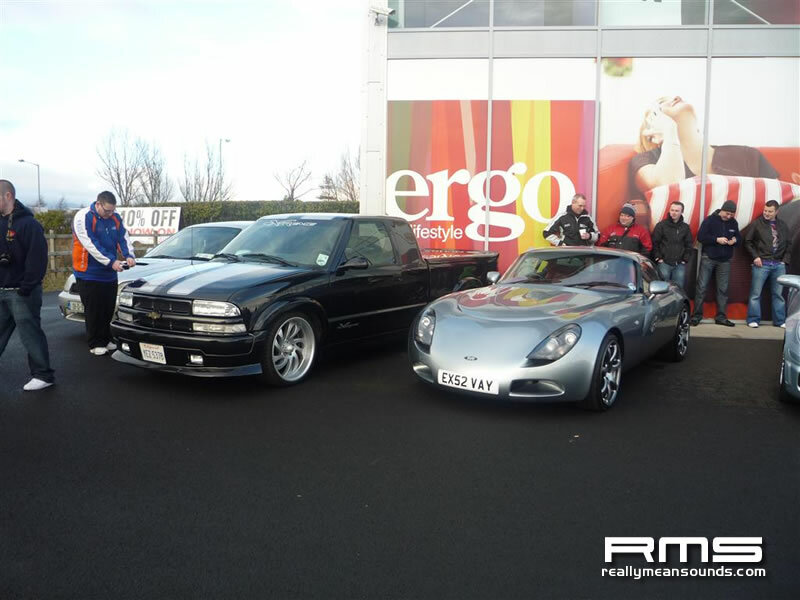 A few notable Lotuses and Mercedes’ were also on display, along with a performance Fords in the form of a tuned Sierra Cosworth and Mark I and II Focus RS models. 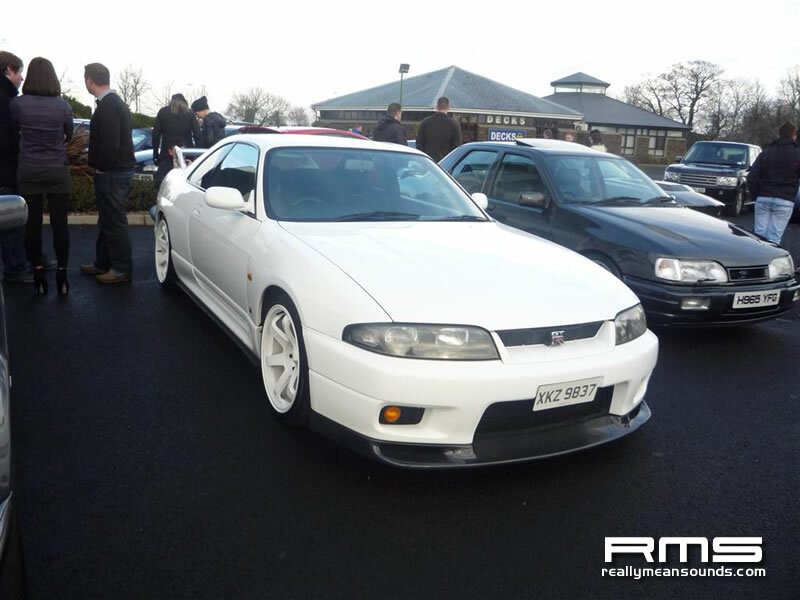 Last but not least, Japanese car fans were treated to a mixture of both newer (Nissan GTRs, Evo 10) and older (Skyline GTR R33), all with varying degrees of modifications under the bonnet. 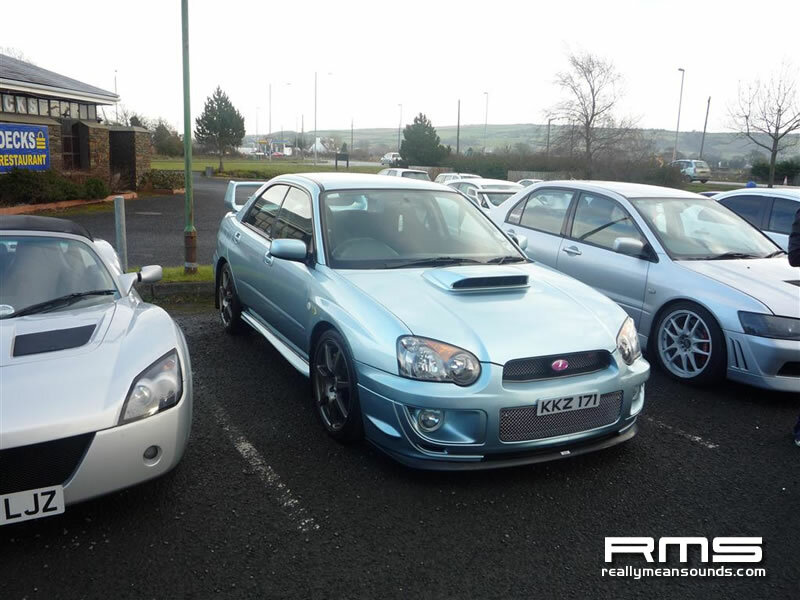 Not to be outdone by their Mitsubishi counterparts, some Subaru owners brought along a limited edition WR1 and an Impreza with some extreme WRC modifications. 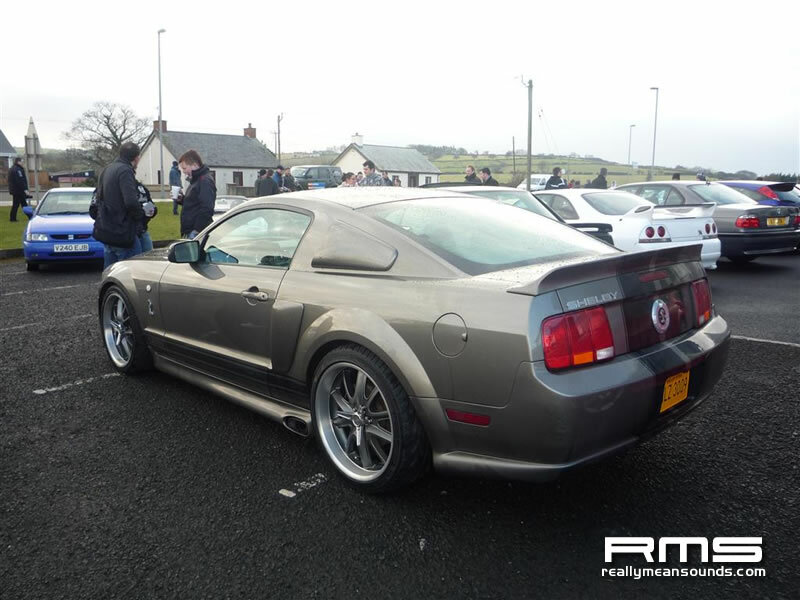 It was encouraging to see that the meet passed without a hitch, and all visitors seemed to enjoy the wide variety of performance cars on display. 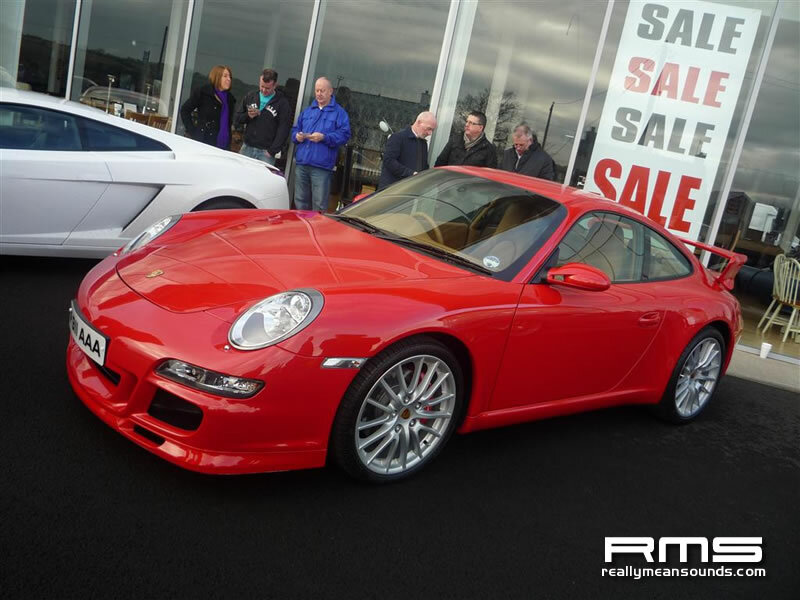 A charity collection also helped to raise £200 for Haiti aid, so all in all it was a very enjoyable and worthwhile way to pass a Sunday afternoon. 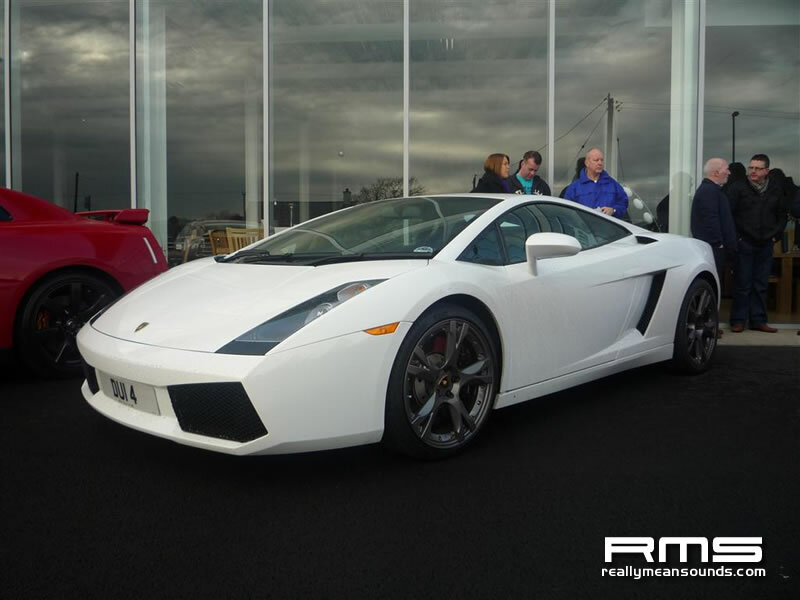 Thanks again to Will2020 and Sudesh for organising the meet, and hopefully we will be able to attend another one before too long.